Jacob Pringiers was born in Gent, Belgium in 1970. He lived most of his childhood in Sri Lanka whereafter he moved to Milan, Italy to persue his passion for design. His studies took him later to Switzerland and the US where he continued his studies at the Art Center College of Design. After graduating he started his carreer at Wellcraft Marine in Florida, designing various watercrafts including the 23 Scarab as seen in the blockbuster 'FACE OFF'. He collaborated with Morelli&Melvin in california on Steve Fossett's mega racing catamaran 'PAYSTATION' (now CHEYENNE). 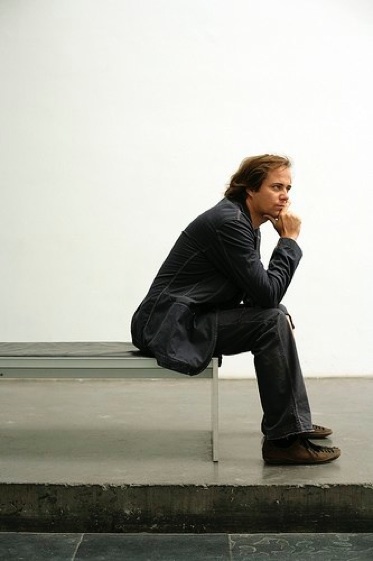 In 1996 he moved back to Milan to further his carreer in product design collaborating with leading studios and companies on a multitude of projects. In 1998, together with his partner Luca Casini he starts the CASINI&PRINGIERS ASSOCIATES in the center of milan where they developed projects for clients in industrial, fashion accessories, furniture and graphic design. Amongst there many clients: AVEC, ASA-SELECTION, ARCADE, BIC, CALP, COLGATE, LUXOTTICA, NIKE, RITZENHOFF, RIVA, SESSA MARINE, WMF etc. In 2000 he begins teaching at the industrial design department of the Polytecnic Universsity of Milan. In 2002 he starts a parralel studio called JACOB PRINGIERS DESIGN STUDIO with which the focus is furniture, lighting and home accessories. Since then he has designed for BRF, DESALTO, DURLET, ELICA, ZOLTAN to name but a few. In 2005 he moves to Sri Lanka where he collaborates with the acclaimed interior design firm Top Mouton for the interior of a residential house designed by the world renowned Japanese architect Tadao Ando. 2 years later he follows all furtiture development for yet another residential home, this time designed by Shigeru Ban. While continueing his product design carreer he is also called in as art director of a major yacht brand. Wether it is fashion eyewear or the design of a new state of the art sailing yacht, jacob pringiers continues to push his design boundaries further, while applying his interdisciplinary knowledge to ever renewing projects.